Write Story Books for Children was created for anyone of any age who has ever dreamed of writing stories that will enthral children all over the world! The phenomenal success of Harry Potter and the recent trend of celebrity children’s authors has reawakened the interest in children’s fiction. This comprehensive course teaches you the little-known secrets of how to become a successful author too. Whether you want the financial rewards and recognition of becoming a best-selling children’s author. Or you simply want the joy of thrilling and delighting the children or grandchildren in your life – this course is for you. In our packed 14-Module Write Story Books For Children step-by-step course, you will discover everything you need to know to write successful children’s stories – for pleasure or profit! Imagine a job you love, with no commuting and no boss telling you what to do. You don’t have to rush back to collect the children from school and the only deadlines you follow are your own. You can just sit at your desk or the kitchen table with a mug of tea and write. Stop when you choose, sit in the garden or meet a friend, then start work again. A gentle, stress-free way of life, at the pace and times you choose. The emotional rewards are certainly far greater than any 9-to-5 office job – and the financial profits can be far larger too! No wonder writing is the dream career for so many people. 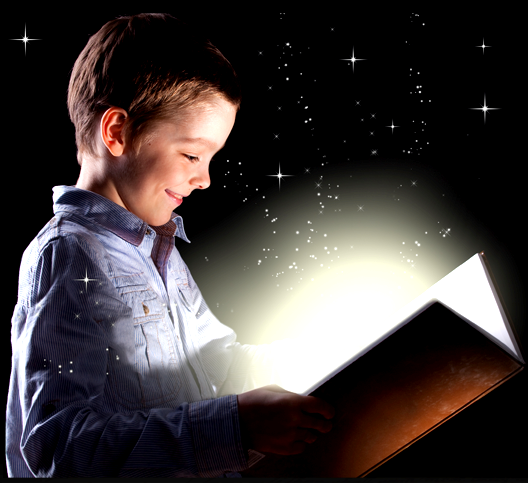 Now you can make this reality, easily and simply, as a writer of children’s books with Write Story Books for Children. The Result? The Write Storybooks for Children online course, which gives you all the guidance and intensive, in-depth help you need to write successful children’s books – from how to structure a story line, create a plot, write dialogue and decide on a style, to where to look for a good illustrator and how to avoid the mistakes that annoy most editors. How to get started on that all important first page – the tips and tricks you need. The vital facts you MUST know before you even switch on your computer or lay out your pens – if your time and enthusiasm isn’t to be wasted. The simple but effective touches to bring a character to vivid life – and why you should watch your local newsagent very carefully indeed! How to select an age group to write for…and what they really want! The 12 most common traps writers fall into and detailed advice on how to steer safely clear of them. The secrets of writing mystery, adventure, horror and humorous stories. Why do some children’s stories sell millions and others barely cover costs? The answer may surprise you. The little-known power hidden in the names you give your characters. A simple yet dynamic technique you can use to generate more story ideas than you’ll ever have time to use. You never need to be short of ideas again. How to prepare a manuscript for publication. A proven 14 step process you can follow. The way to approach your work with professionalism and how this will mark you out from the amateurs in the eyes of publishing houses. What you must never, ever do when you approach publishers. How to deal with publishers. Everything you need to know to ensure you get the best possible deal and don’t get ripped-off. How to negotiate lucrative merchandising deals into all your publishing contracts. Pay close attention here and it could make you rich! All about pen names. Should you use one? How do you choose one? Discovering more about designers, illustrators and picture researchers and how to collaborate with them. Writing for magazines…how to make an excellent second (or third) income, creating interesting non-fiction pieces for children’s and teenagers’ magazines. How to write for TV, theatre and film. Big money awaits anyone who gets this right! All this information and much, much more is written in a readable, easy, colourful style with nothing academic or dry about it. Every page is full of imaginative ideas, colourful examples and lively stories. It is all beautifully presented, lavishly decorated with exquisite illustrations, making it a real pleasure to read and use. Don’t worry if you’re a complete beginner. We assume nothing in advance, and take you right from the basics…covering both the creative issues, and ‘nuts and bolts’ information which every successful writer needs to know.